On 11 February 2011 the Egyptian revolution’s top demand was met: Mubarak, who ruled Egypt for 30 years, was forced to step down. Egyptians were then faced with the most difficult task of building a democracy after decades of authoritarian, one-party rule, with scarce, if any, real political participation. The hundreds of thousands of people who participated in the overthrow suddenly have a chance to engage in political life. Many just don't know how. On 28 March, 2011 the Supreme Council of the Armed Forces, which stepped up to rule, temporarily, in the absence of a president, passed a new law for the establishment of political parties. This new law requires parties applying for registration to gather 5000 signatures from at least ten of Egypt’s 29 governorates, with the guarantee that their application would be reviewed by a judicial committee within 30 days. Since the debate of this law, which began weeks ago, dozens of political parties have been launched, and are busy fulfilling the requirements for registration. Egypt's new political parties have yet to complete the registration process; however many are hopeful that the emerging political landscape, made up of secularists and Islamist, leftists, liberals and conservatives, is a promise of vision of a new era of healthy political competition, which will manifest itself in the coming parliamentary elections in September of this year. Whether secular or Islamist, for the most part, the nascent political parties agree they need more time before the elections —which are to take place in less than six months— for these groups to have a real impact. Some also worry that elections coming this soon would greatly favour the Muslim Brotherhood, which already has a large-scale social network in place. On 19 March 2011 seventy-three members of Egypt’s only legal leftist party, Tagamu’, walked out of the party conference, after having accused the leadership of being too close to the remnants of the Mubarak regime, and called for the formation of a new party. They, in turn, joined the Popular Alliance, a new coalition attempting to bring the fragmented leftist parties and groups of Egypt under one umbrella organisation, independent of past political allegiances, with democracy and social justice providing the base-line of their "unity amidst diversity" perspective. Many argue that a broad left coalition is the way to go, and they hope that one single leftist party should represent all leftists. Eidarous believes that there won’t be fragmentation because "Differences are there according to participants’ backgrounds. We may differ in our explanation of a situation, but we will all take the same stance." Besides the Popular Alliance, there is also the Egyptian Socialists Party led by veteran activist, Ahmed Bahaa Shaaban, and the Egyptian Democratic Labour Party. Mostafa Basiouni is one of the founders of the Democratic Labour Party. He makes it clear that the party is based on a demands platform. "Part of its mandate is to stop privatisation. The party is fully aligned with workers’ needs and rights. Members are not there according to ideas. They believe in worker’s rights to political expression and party organisation," said Bassiouni, who believes the workers should have their own voice in the new political map. "The labour movement has always been organised. Workers have a very high level of awareness," added Bassiouni. He admits that the party lacks a leadership figure, but believes one will come forth in the middle of the struggle to organise the party. Bassiouni doesn't feel the rush to start the party before the upcoming elections in September. "This has to take its time. We are forming this party because we believe in the right of workers for political expression, we reject the pressure from a law that states we need at least 5000 members and rush towards elections," added Bassiouni. The first declaration of the Labour Democratic Party states that "The Egyptian labour movement is the first line of defence and spearhead of the January 25 Revolution. The continuation of this movement and its development is the only guarantee for the success of the revolution. We need to establish strike committees and independent trade unions everywhere. We need to establish an independent Federation of Egyptian Workers and the ultimate elimination of the federation of the Mubarak era. We need a political party; the voice of workers and a forum for all those that toil and are exploited and oppressed in Egypt." Both the Popular Alliance and the Labour Party have gathered signatures from their founding members and are set to hold their first conferences within weeks. The goals of both parties include the complete achievement of the revolution's demands by ridding Egypt of the former regime and establishing a civil, democratic state, as well as fighting capitalist policies and promoting the rights of lower economic classes. Both parties' economic programmes involve setting a minimum and maximum wage, putting an end to privatisation and monopolistic practices and redirecting development plans to benefit underserved social classes. Workers called for the unconditional nationalisation of major companies, as well as agricultural reforms in favour of peasants. Bassam Mortada is also a leftist activist, but he didn't join the Popular Alliance. He prefers the more liberal-leaning Egyptian Social Democratic Party (ESDP). "I don't take decisions alone. I belong to a group of people, previously called the democratic left, and we decided to join the ESDP together because currently, we need the strength of a big party that brings together leftist and liberal forces to build a democracy. Two years or so from now we might diverge into different parties," said Mortada, who is excited to participate in openly in politics versus in the shadows. "All of the parties say the same things: ‘freedom, democracy, and social justice’ but I feel that the ESDP has a strong inclination to establish democracy through the state and institutions," said Mortada. Both liberal parties promote free market policies, but with an emphasis on the state's role in developing the public services especially education. There is no mention of a minimum or maximum wage or the issue of privatisation on their agendas. The most recognizable party-planning took place through Facebook, the social-networking site most often credited with helping protesters topple former president Hosni Mubarak's regime. At least a dozen Facebook groups have been set up under the name "25th of January Party" after the date of the first protests that eventually brought Mubarak down. The largest of the groups has attracted nearly 400,500 "Likes." The Voice of the People's Party has around a 1000 likes on Facebook and their programme is based on citizenship and a secular parliamentary state, as well as development of education. Interestingly, the party was established in the satellite city of 6th of October, roughly half an hour outside of Cairo. Although the new law prohibits the establishment of parties based on religion “in their principles, programmes or the practice of their activities,” the Muslim Brotherhood announced on 21 February 2011 that they intended to establish the Freedom and Justice Party. The MB has affirmed that it does not object to the election of women or Copts to the government, although it deems that both are "unsuitable" for the presidency. The group supports free-market capitalism, but without manipulation or monopoly. The party’s political programme would include promoting tourism as a main source of national income. The Freedom and Justice Party says it will base itself on Islamic law, "but will be acceptable to a wide segment of the population," according to leading MB member Essam El-Erian. The party’s membership will be open to all Egyptians who accept the terms of its programme. The spokesperson for the party said that "when we talk about the slogans of the revolution – freedom, social justice, equality – all of these are in the sharia [Islamic law]." Egypt’s Salafis, who have been at the centre of controversy lately, are slated to establish Al-Nahda, or Renaissance Party, open for all Egyptians to join, according to Mamdouh Ismail, a lawyer and founder of the party. A Cairo court finally approved on 19 February the establishment of a political party that has been trying to secure a license for 15 years. The court's ruling was handed down in the wake of the Egyptian Revolution of 2011 and made Al-Wasat, a moderate Islamic party, the first new party to gain official status after the resignation of ousted former president Hosni Mubarak. The party embraces the idea of Al-Wasatiya (moderation or centrism): a tolerant version of Islam with liberal tendencies, formed by a group of young professionals who defected from the ranks of the Muslim Brotherhood in 1995 and sought to establish a political party. Among the very early founders was Islamist thinker and lawyer, Mohamed Selim El-Awa. The party, later in 2004, emerged into Al-Wasat Al-Gadid. Party leader is Abul-Ela Madi, an ex-member of Al-Gama'a Al-Islamiya during his years at Minya University's Faculty of Engineering. In 1979 he left to join the Muslim Brotherhood. In 1984, he became a member, and then deputy secretary-general of the Engineers' Syndicate. He defected from the Brotherhood in 1995 after a row over the establishment of a new political party to be called Al Wasat. The party's manifesto accepts the right of a Christian to become head of state in a Muslim-majority country. In a recent interview, Madi likened the Wasat's ideology to that of the Turkish Justice and Development Party (AKP), which he says has deep roots in Islam, yet still appeals to a broader electorate, including secular, middle-class elements. According to the party’s official website, founders include the late political writer and historian Abdel-Wahab Elmessiri and former member of the parliament, Fikri El-Gazzar. There are dozens of like-minded initiatives, where large groups of youth meet either in cafes or online to discuss and explore a rapidly changing political reality. A meeting on Tuesday between 23 new political groups may not only be a beginning of another revolution coalition, but also their answer to Egypt’s very uni-dimensional political scene. 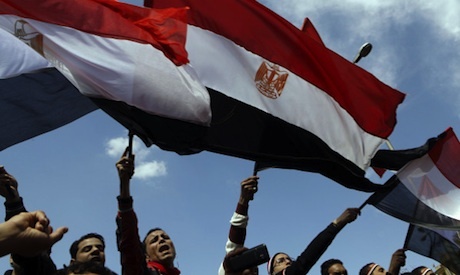 The political weight still seems to be only in the hands of groups who had power before Egypt’s January 25 Revolution. An assembly of many of the current movements hoping for the prospect of a coalition may be just what the forces of change need to influence the future. Youssef believes that these new movements and youth coalitions are capable of standing against the "corrupt mechanisms and policies of the old regime that focuses on money, tribal relations and sectarian issues in campaigning," said Youssef in a hopeful tone. Among the new initiatives are also El-Lotus, Masry Hor (Free Egyptian),The National Front for Justice and Democracy, El-Sahwa (The Awakening),The Popular Committees for the Defence of the Revolution, Rasd el-Parlaman (Monitoring the Parliament), Magles Tahrir Masr (The Council for Freeing Egypt), The Confederation of the January 25 Revolutionaries, Haraket El-Shaab Helm Yatahaqaq (The People Movement: a Dream Realised) and many others. There is also the hilarious "I don't understand anything party" group on Facebook. Both groups strictly confine themselves to a platform of the humour of politics. Good article, but what about true freedom? Sounds like leftists will win under the banner of "justice". Why would the economic result be any different from the U.S. failure from ever increasing size government, now at 38% of GDP? Free the government controlled ballot so that it's blank. Let the voters designate their preferences in order instead of just having a single choice out of just 2 organizations with money. That's a more natural hiring approach and a closer approximation to the private sector. Let the people fire them before their term expires if their approvals are low, also just like in the private sector. Very good article - very informative and concise. Thank you! This is a very well researched and extremely informative piece. Thanks!